Custom Kids Menus, Children's Activity Placemats, Stick-Down Placemats, and Activity Booklets at the best prices. 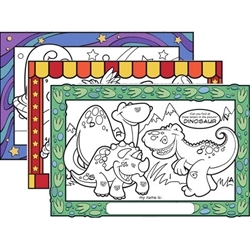 Children's Activity Placemats, Stick-Down Placemats, and Activity Booklets at the best prices. Choose from our variety pack of designs or contact us for chain pricing & terms for custom designs.